LANGKAWI, 15 January. – The Round the Island Race took place today in excellent weather; clear blue skies, sunshine and 25 knots of fairly steady North Easterly winds. Because of the distance, roughly 25 nautical miles, the Club Cruising/Ocean Rover Classes were given permission to start anytime between 7.45 to 8.45am, from a provisional start line. 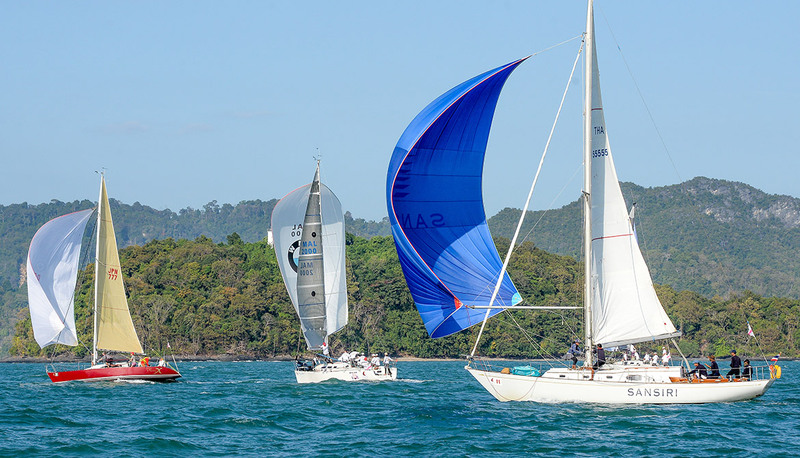 The rest of the fleet was flagged off by the PRO at 9.30am using the same start line, which is situated generally four miles southeast of Royal Langkawi Yacht Club. Another anomaly of the Round the Island Race is the necessity for a downwind start. That means most yachts will fly spinnakers at the start line, which makes for a fantastic scene with a kaleidoscope of sails flying in the morning sun. The Racers, IRC-1 and the Multihull yachts were set on the longer course, while the IRC-2 bunch got on a shorter one. Once the yachts had scampered off, the Start Boat headed back to the harbor for the finish of the Round the Island fleet and to give the Sport Boats three windward/leeward races. About an hour later, amidst great speculation, Sophia sailed to the finish line first, followed by five others from the Club Cruiser and Ocean Rover classes, their head start and winds giving them an edge. Oi! crossed the line first in Racing Class and Lero 3 took line honors for IRC-1. Mata Hari aced out Old Mutual International in IRC-2 while Galeforce was the first of the Multihulls to finish. Provisional results for the day showed Oi! at the top in Racing Class, with Foxy Lady VI in first place for IRC-1 and Mata Hari in IRC-2. “The winds picked up quite suddenly and we saw some of the others tacking and heading further outside before coming back in but that would have taken up time so we kept it steady to the finish,” said Peter Ahern of Oi!. 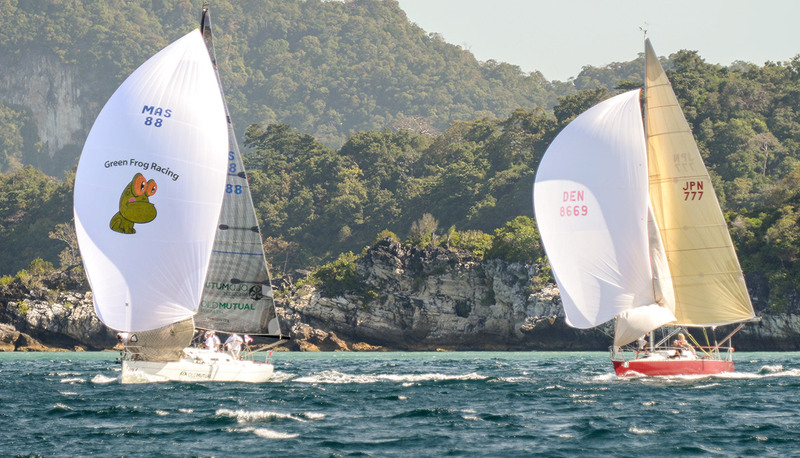 Andaman Cabriolet Nina triumphed over the other Multihulls, while Sophia took the Club Class day’s prize and Invictas Reward secured the first spot in Ocean Rovers. While the Round the Island Race was going on, the Sport Boats were chasing each other down the three windward/leeward races. In what has become an established routine, RSYC Setia West and SMU made it a 1-2 finish in all three races with Setia West securing the day’s top prize but SMU is a close second. “We had a good day but it was a tough race because all the Sports Boats are doing well and any one of them could easily overtake us over the next two days,” said Kevin Yong of Setia West. The race today saw the fleet wind its way through some of the most beautiful islands of Langkawi which is enjoyable in itself without the thrill of racing, but combine the two and the Round the Island Race is one of the most popular races on the calendar in the Royal Langkawi International Regatta. 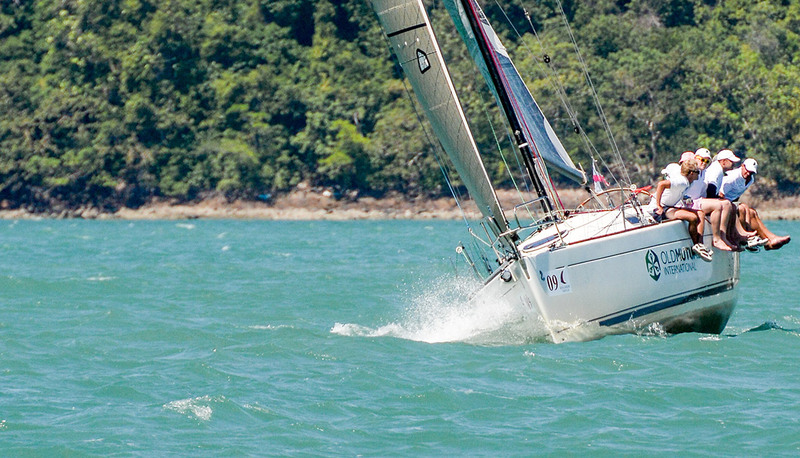 All classes will head out to the waters on Race Day 4 on 16 January, with the start time scheduled for 9.30am. The Ocean Rovers will be split to two groups with Eveline, My Toy and Invictas Reward in group A while Easy ‘n’ Free, Chantique, Jelita of Langkawi and VG Offshore will be in group B.